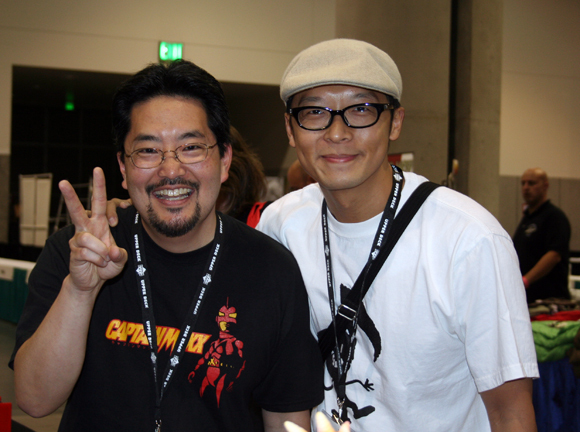 ← Carlos Kaiju Part 2 ! our humble set up …the eyezons sold out by Thursday..but we do have more on the way ! 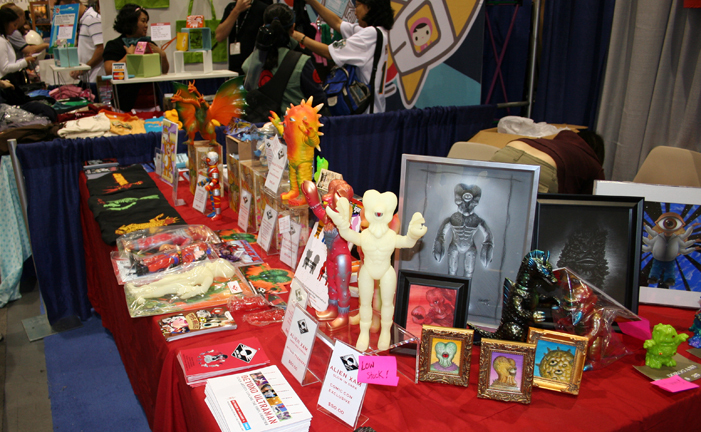 face to face – ultra artist and japanese toy collector Alex Wald and i meet face to face for the first time ! Look for more of Alex’s work at the upcoming ToyKarma show at Rotofugi in Chicago in Sept.
A once in a lifetime meeting ? 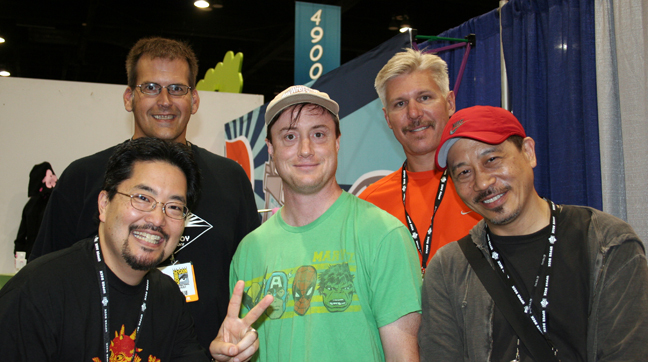 Perhaps, shown here from left to right back to front.. Mark Suggs Super Gamera Collector, middle, Legendary Jumbo Machinder collector Tom Franck, Jim Maitland Japanese toy collector and probably has the biggest collection of strange japanese kaijus, front me and Hawaii kaiju super collector Sanford Mock.Not shown but also at the booth was Mike Johnson super Godzilla collector,Paul Kaiju, japanese toy collector and one of the best custom toy painters around and Alex Wald another long time Japanese toy collector. I really got the sense that the planets had aligned and the toy collectors I admire had assembled to talk shop…very cool… Toy Karma at it’s best ! 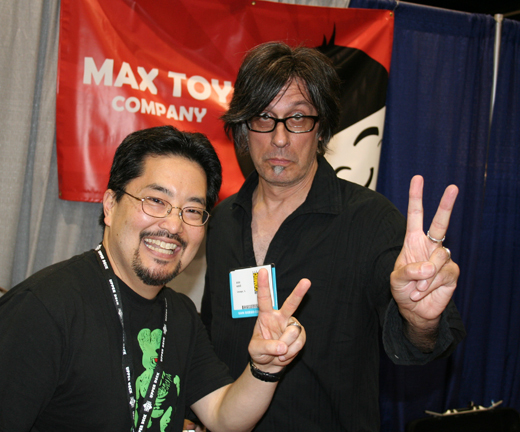 Eric So, one of the artists that kicked off this current Designer Vinyl craze stopped by the booth…very nice guy!